So, during my visit to Logan Town in spring at the dawn of Liberia’s Ebola epidemic, I thought Mattie should have known better. Mattie is a distant family member from Cape Mount who lived with a relative. He is a nice, well-kept boy, excelling in school and mature beyond his 10 years. He was sent to buy a bag of peppers from a junction market and when he returned, running cheerfully through the winding roads of Logan Town, a neighbor pointed at the dark, stubborn meat in his hand. It wasn’t until he reached the porch that the adults in the house and a few neighbors across the yard noticed what he was chewing. “MATTIE! That bushmeat there?” a relative yelled with a most stern accent. News reports that some bushmeat harbored the violent disease put everyone on high alert. The small portion of meat was grabbed from both his hand and mouth and he was thoroughly reprimanded by every adult in the house, as well as nearby neighbors. “You see us eat BUSHmeat? !” “That boy now lost his mind!” “That the kind of foolishness you will use my change for? !” He was chastised throughout the day and by night you could hear the collective hissing of teeth from disapproving neighbors. The Liberians in that household did not eat bushmeat. Liberian consumption of hunted game is largely dependent on ethnicity and geography, although you would not know it by recent coverage of the Ebola epidemic, which has painted nearly 4 million people as savage carnivores that take delight in feasting on pet monkeys. Bushmeat, or forest game, is popular cuisine in poorer neighborhoods because hunting forest animals is a practice that, for some, provides the only food for their households. The bushmeat (which is not exclusively monkey meat, but also forest animals like deer, pigs and other game) is usually smoked and taken into cities to sell at markets. Some consider it a delicacy, others may not. Since Mattie’s early childhood was in the interior and game is what he was most used to, his temptation that afternoon at the market–his affinity toward the meat–even though he knew the risk of the likely punishment from his caretakers, was understood. Watching and reading recent coverage of the spread of the Ebola virus, one would have a slanted, one-dimensional view of Liberian cuisine, believing that there were no neighborhoods like the close-knit enclave in Logan Town with residents who were aware of the possible dangers of eating forest animals during an epidemic. Bushmeat is a form of protein in some parts of West Africa, the only form that members of some villages can afford to eat. It was in the village of Meliandou in Guinea where the first patient contracted the Ebola virus last December from what is assumed to have been an infected fruit bat. Meliandou’s forests were annihilated by Australian and Chinese mining companies and as this happened, more harmful species of forest animals, usually unidentifiable from the counterparts that residents of Meliandou have hunted for generations, made their homes in hunters’ territory. The first reported cases of Ebola in Liberia were members of a family who attended a funeral in Guinea. The direct or even indirect contact with the bodily fluids of the corpse is what allegedly exposed these victims to Ebola. These first cases in Lofa County were all due to “touch” and “contact with bodily fluids.” Even the subsequent cases in Meliandou after the initial patient was diagnosed, were all infected due to exposure to bodily fluids. CDC and WHO hearings will usually mention that victims always seem to know “who” they could have contracted Ebola from, meaning everyone infected has been able to trace social interactions to recall a severely sick person who may have exposed them to the disease. Who, not what. So, why then, has bushmeat been so prominent on the causal diagram of the virus’ spread? The portrait of the careless and barbaric African has surpassed humane, empathetic dialogue that could have eased the rapid spread of Ebola months ago. There has, mostly, been a lack of consideration for the various dimensions of the Liberian experience and lifestyle. What is true of a woman in Lofa with family in Guinea is not true of a Maryland Ol’ Ma. What is the experience of a boy in Monrovia is totally different from his cousin in Cape Mount. 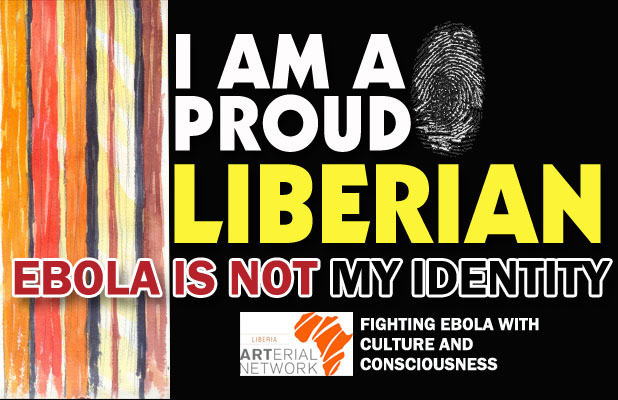 It is in understanding and recognizing the true diversity of the Liberian experience that a practical understanding of how to stop the disease may be reached. What has been most disappointing about the majority of coverage is how easily it is consumed, and how it is proving that there is an audience that is hungry for sensational stories that retell and affirm childhood predilections for the stupid African, the monkey-eating, callous African. The timing has been perfect—American right-wing incrimination of a president affirmed by images of the kind of stupidity and barbarism from which he came; the unanswered killing of a teen in Ferguson, Missouri and the protests it incited (which I’ll write more on later), now peppered with proof that the African and her descendants are too idiotic, too dishonest, too uncivilized for their own good. This rhetoric and coverage perpetuate the idea that on or off the continent, the African is truly too broken to fix him/herself. They are not reporting on Logan Town–the middle-class village of crooked roads, intelligent and thoughtful neighbors, and Old Ma’s hissing their teeth, unimpressed with media’s claim of Liberia’s recent death. Liberia has and will forever breathe through them. Wayétu Moore and a writer and publisher based in Brooklyn, NY. Posted in Perspectives, Photo Journal and tagged African, Bushmeat, Logan Town, Media, Photography, Wayetu Moore. Bookmark the permalink.